By Popular Demand: Customer Appreciation Service Event Continues! We recognize that the MetroLinx Construction Project on Eglinton may make our dealership slightly more difficult to enter & exit from time to time. We value your loyalty and your business! *Customer Appreciation Service Event is valid until March 30th, 2019. During the event, we are pleased to offer up to a 20% discount on parts and service plus a complimentary gift on the customers Honda Vehicle! Discount is based on customers Honda vehicle mileage. The higher the mileage, the greater the discount. All vehicles over 100,000kms are eligible to save 10% on parts and service for their Honda Vehicle. All vehicles over 150,000kms are eligible to save 15% on parts and service for their Honda Vehicle. All vehicles over 200,000kms are eligible to save 20% on parts and service for their Honda Vehicle. Customers with a Honda vehicle lower than 100,000kms mileage are eligible for a 10% off Service but is not eligible if the customer requests vehicle pick-up or drop-off service. Discount cannot be stacked with other promotions. Scheduled maintenance appointment must be booked in-between the event date. 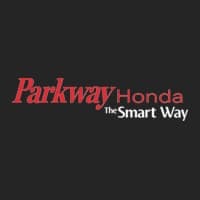 See Parkway Honda for full details.